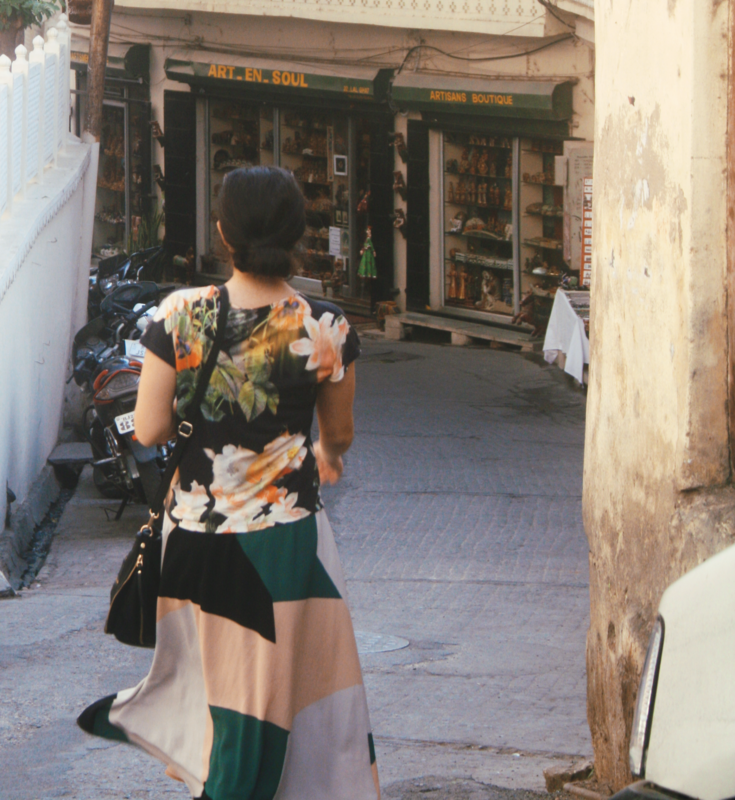 Want to know what to wear in India, especially as a woman? I’m always fairly careful about what I wear when I visit different countries. It’s a difficult balance to strike: on the one hand, you’re on holiday – you want to be comfortable, look cute in your snaps for Instagram, show off your holiday style. On the other, it’s important to not be disrespectful to local peoples and cultures, and it’s important to stay safe in those places where showing some skin can land you in hot water. 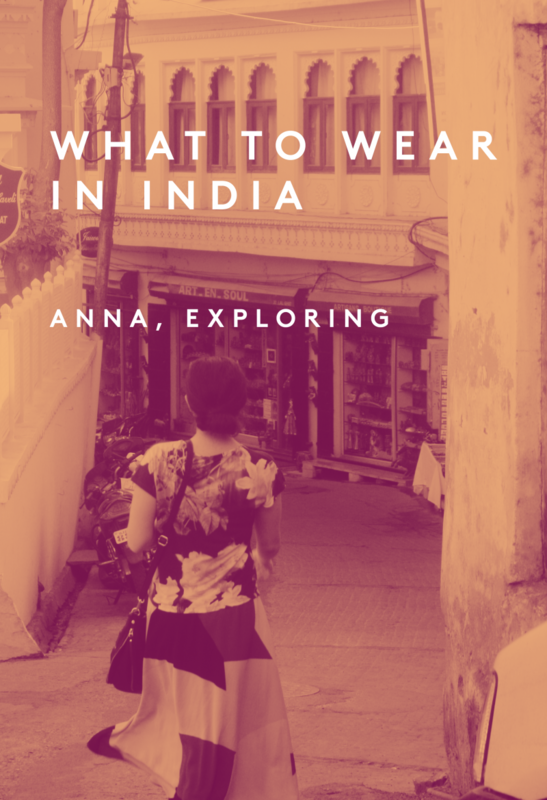 What to wear in India, especially as a woman, was something that I definitely wanted to consider carefully. 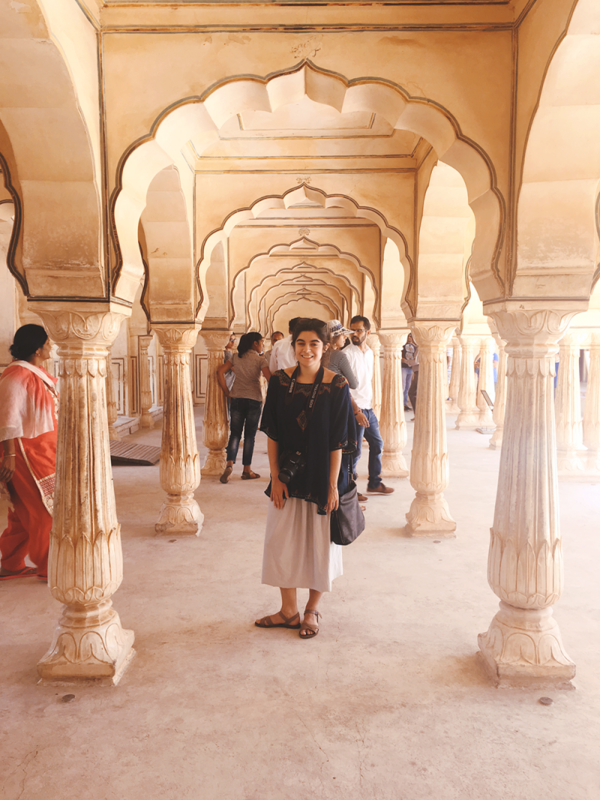 You hear a lot about being a female traveller in India. How it’s not safe, how you’re going to be stared at by men, how you need to cover up. 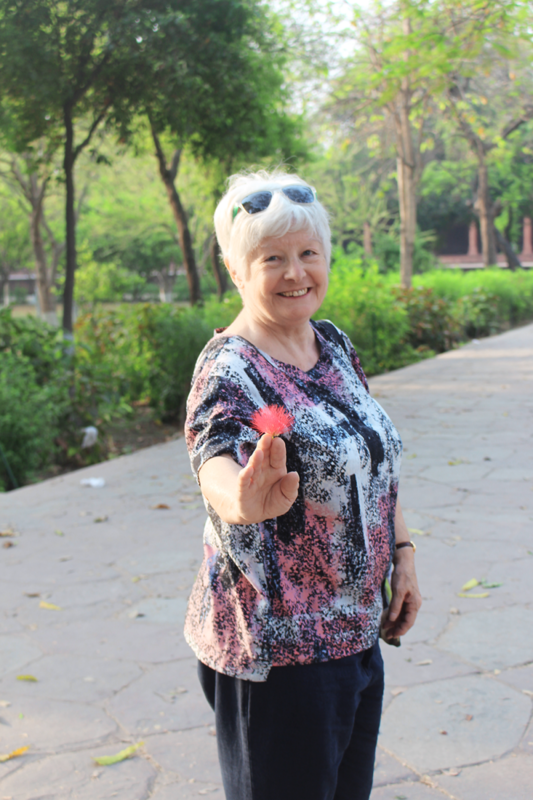 And despite experience extensively travelling across Asia – on my own and with a man – I was a bit unsure as to how to approach India. 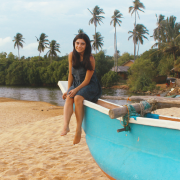 I’m half Indian myself – whilst (generally) Westerners find it hard to tell, Indians and Asians always know. 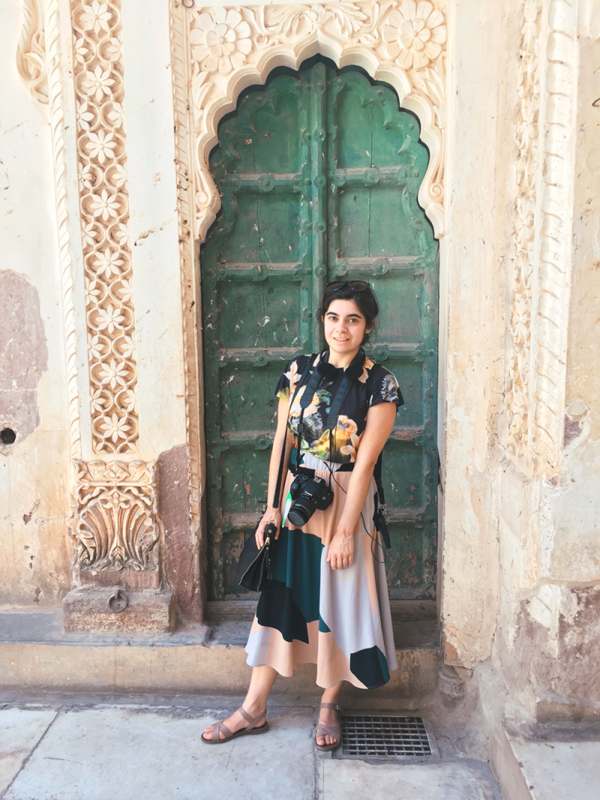 I’ve had very mild trouble in the past about looking like a local versus dressing like a tourist, and I was hyper-aware of the press around female travellers to India. 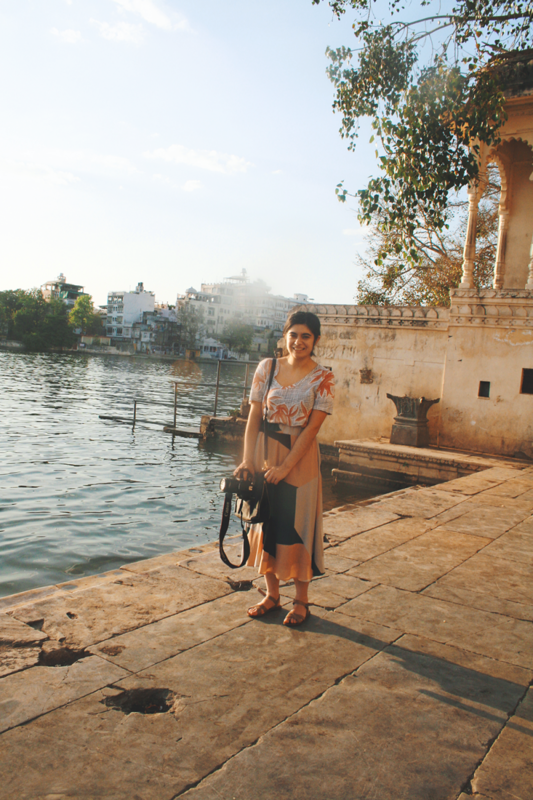 I had the most amazing time in India; I felt so welcomed and safe pretty much everywhere I went – but that’s a different blog post. India is hot. You know this, I know this – but it’s important to remember when you’re packing at home (especially if you live in rainy Britain like me!). Loose clothes, linen clothes, cotton clothes – all your best bet in the heat. India is a religious and conservative country. Women wear jeans and t-shirts, yes, but are (almost) always covered up. It’s more respectful to local people and makes you feel safer to remain modest in how you dress. India is a colourful country! Don’t feel afraid to wear a nice t-shirt or colourful skirt, you’re not going to stick out. Get your fashion on. 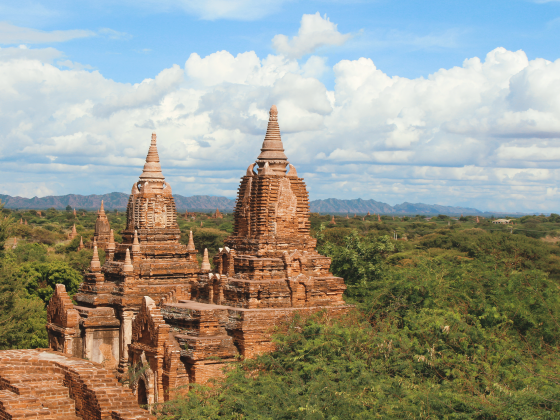 3 cotton t-shirts: T-shirts are a staple backpacking item for me. Others might pick vests, but I think having basics that cover your shoulders are crucial for Asia and more conservative countries. I usually pick tailored, scoop-neck women’s t-shirts rather than standard crew-necks, as I find crew-neck t-shirts are too restrictive and not airy in the heat. 1 oversized kaftan top: I bought this in Bali and it’s been SO useful. You can use it as a coverup or as a top; it’s hugely airy and very cool. 2 pairs of trousers: Technically one was a pair I bought while I was out there, as my previous back-up trousers had ripped after seeing me through most of SEA. Loose trousers are a great shout for when you’re going somewhere where there are lots of mosquitos, or you have to do a lot of climbing/walking. 3 over-knee skirts: I tend to bring ‘elasticated waist’ skirts, not just because I’m a grandmother, but because you can wear them on the waist or on the hips, allowing you to flex your style and wear them ‘longer’ when you want to be more covered up. 1 linen cardigan: I wanted something to throw over my shoulders and cover up a bit more arm just in case I felt exposed. 1 below-knee dress: I brought a loose-fitting below-the-knee dress for evenings out, but it did have thin spaghetti straps. I felt fine wearing it in restaurants, and brought the cardigan to wear over my shoulders walking to and from where I was going. 1 long, loose scarf: I brought a scarf to wear around and over my shoulders as a makeshift dupatta, to act as a symbol of modesty and act as a headscarf if needed. I wore this a lot as the dupatta, but didn’t end up needing to cover my head where we went. 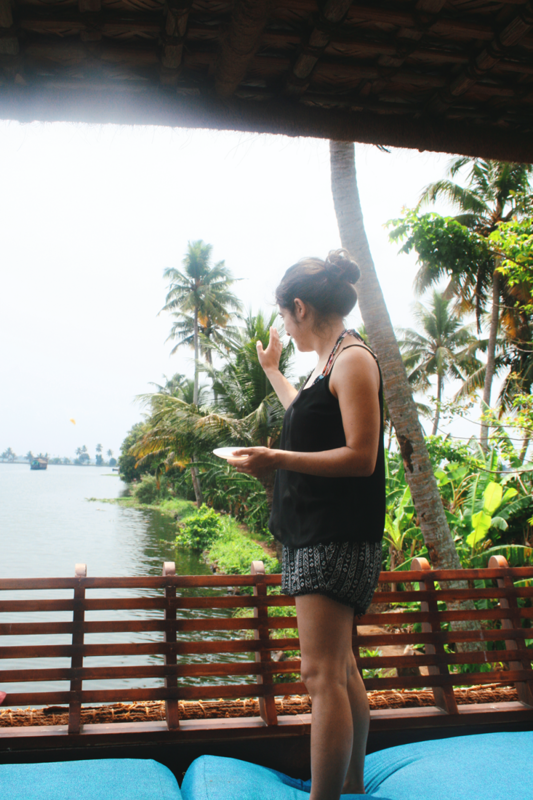 1 vest top: I brought one vest top for Kerala, when I knew I’d be in a more secluded area and could sunbathe a bit. 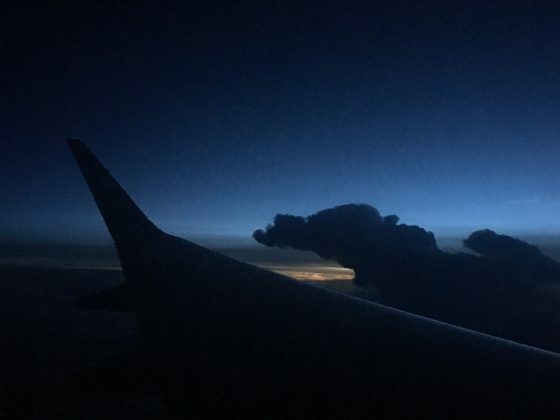 1 pair of shorts: As above. 1 bikini: In the hopes of swimming at the hotel pools. 1 pair of sandals: Staple for any backpacking trip. Did I regret bringing/not bringing anything? If I had more loose, below-knee dresses, I probably would have swapped out one of the skirts for another dress, as I find dresses a lot more comfortable in the heat – but as a 5′ tall hourglass-figured person, I find it quite difficult to find affordable dresses that I’m willing to get a bit beaten up on the road. I didn’t end up wearing the trainers at all; I’m going to trial not bringing them on my next trip to see how I fare without them as they are really heavy and take up a lot of room in my backpack. We did a lot of washing as we went along; I was hoping to find some cheap tops out there, but nothing really caught my eye. I could probably have stood to bring another t-shirt. 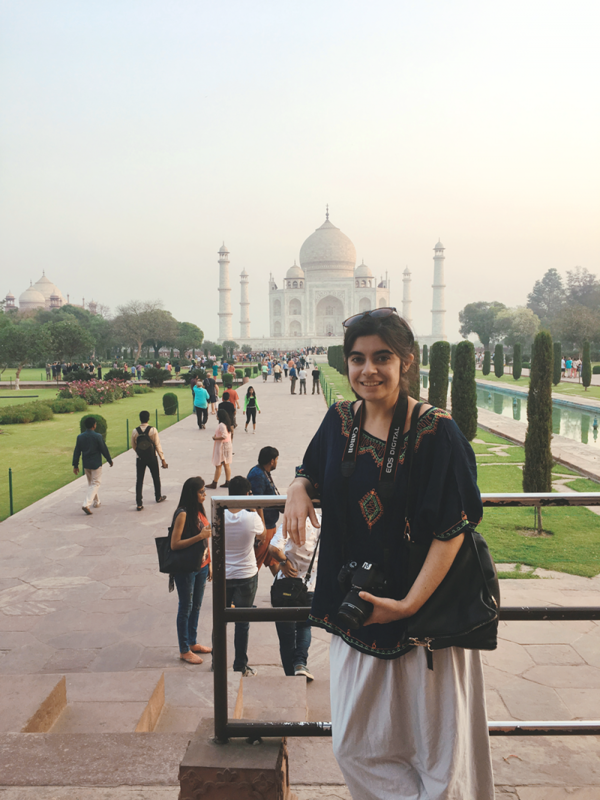 What did I wear to the Taj Mahal? It’s crucial to remember that the Taj Mahal is both a mausoleum and an Islamic monument. The last thing you want to do (which I have seen) is wear a strappy tank top and short shorts; it’s incredibly disrespectful. I wore a loose skirt and my baggy kaftan top, as it was very hot. My lovely beautiful mother wore an elbow-length t-shirt and cotton trousers. We both felt respectful and cool in the heat! 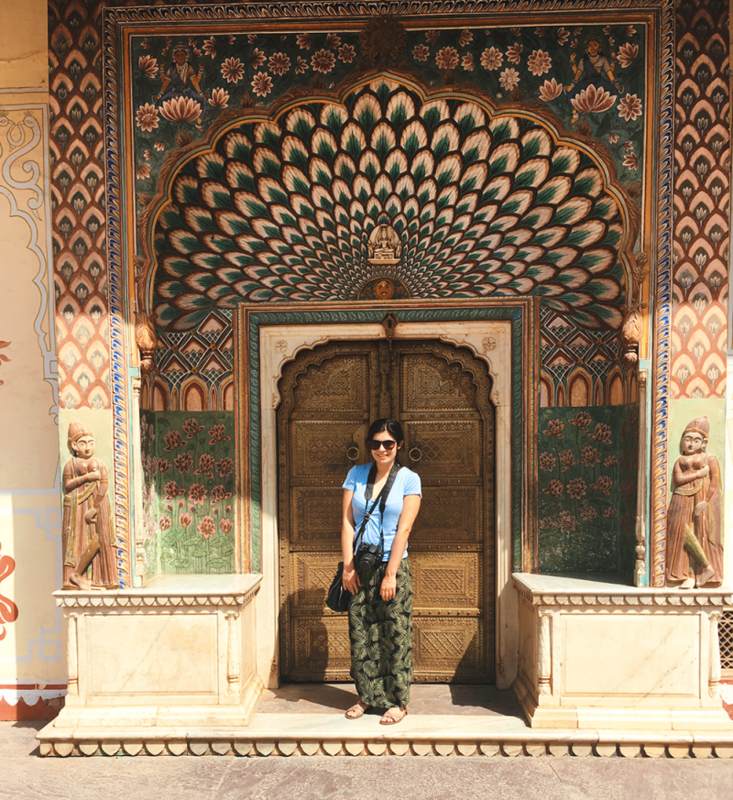 So that’s what to wear in India from my point of view – have any of you been to India? What did you wear? Would you change your packing list?